Eliana Cargnelutti, italian guitarist and singer, graduated in jazz guitar at the conservatory “G. Frescobaldi” in Ferrara introducing a thesis on Mike Stern. Eliana is the new hope of italian rock blues. A strong singer and a crafty guitarist, one of the rare real front women of the italian scene. She plays a flavor of rock blues with a bit of everything in between: electric funk, mixed with pop and jazzy instrumentals, raw rock, tight blues grooves, illuminated by her skills as an electric guitarist. Her sets truly have something for everyone. 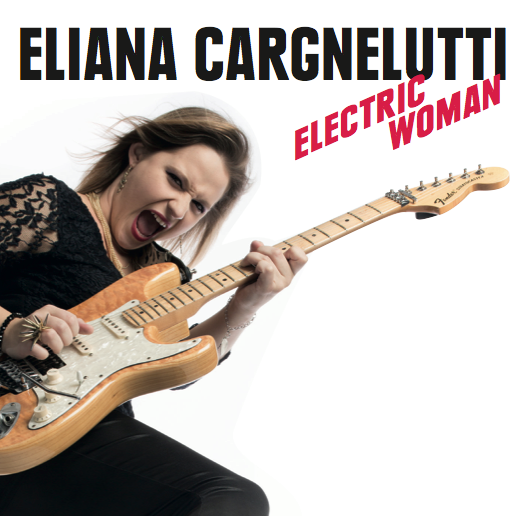 Eliana is well known in the Italian blues scene thanks to her infectious persona. Her band, features known musicians from the italian blues scene: Simone Serafini, Loris De Checchi and Carmine Bloisi from Padua. The melting of their personalities gives life to the subtles of musical nuances.